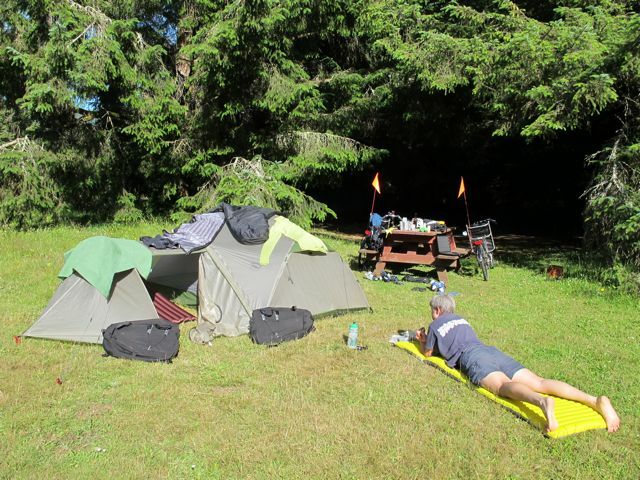 We camped at the Orman Guest Ranch just south of Crescent City. It’s basically the Orman’s farm and they’ve opened it up to campers. They have a dog, cats, chickens, sheep, goats, horses, cows and one bull. It was so peaceful and quiet that we decided to take a rest day. We rode into town to do laundry (where we ran into Sarah and Jasper, the couple from Oregon) and buy groceries. 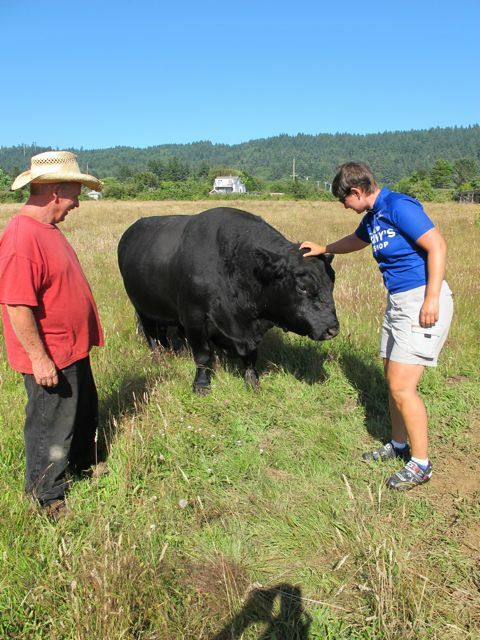 Later in the day, Keith Orman took us into the pasture with the cows and bull and I got to pet the bull on the forehead. That’s one big animal. Rest day at camp. We aired and dried everything out. 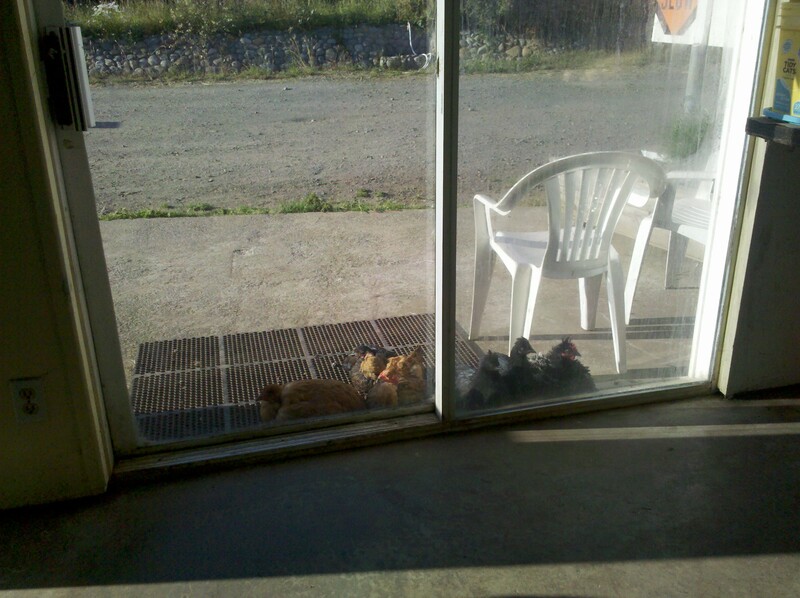 Sometimes even free range chickens want to be inside. The bull is bigger than he appears from this angle. Trust me. ← Day 22: Brookings, OR to Crescent City, CA!